Just this once, I feel like writing about a perfume’s name first. 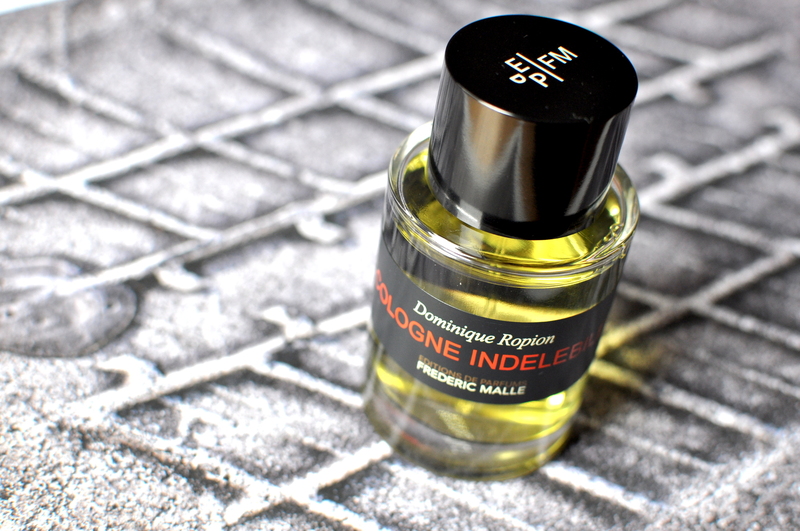 That of Cologne Indélébile, the latest fragrance by Editions Frédéric Malle, is particularly clever. First because a Cologne is not, by definition, indelible. It’s even precisely the opposite, meaning extremely volatile, since its concentration is weak and its main ingredients, citruses, are light molecules that evaporate rapidly anyway. But especially because this nice oxymoron encapsulates the whole spirit of Frédéric Malle and perfumer Dominique Ropion’s new creation, which conciliates paradoxes such as freshness and tenacity, innocence and sensuality. As a starting point, the beautiful musky accord in the base notes of Geranium pour Monsieur and Portrait of a Lady. One day, its creators Frédéric Malle and Dominique Ropion get the idea that they could pair it with a very fine neroli essence, “just to see”. The first draft is magnetic and the idea of a perfume playing a double game is born. Three years and several hundreds of trials follow, enough time to balance the naturals – orange blossom and Tunisian neroli, lemon, bergamot and rosemary, to which Dominique Ropion, who’s making his first-ever cologne, adds a fresh hint of narcissus – and the abundant synthetics, i.e. 60% of musks in total formula. It is them, the musks, that give Cologne Indélébile its un-erasable side, or at least its impressive persistence. And them, too, are full of paradoxes: nowadays associated with clean and comforting smells of laundry, musks remain a sexual ingredient, a powerful aphrodisiac borrowed to the animals. Blended with benzoin and patchouli, they compose the steady stand of this not-such-a-cologne cologne and give it a never-ending trail. Once the fresh and aromatic start fades out, those base notes settle in, tickling the most suave facets of a beautiful orange blossom along the way. A double-face cologne whose attract lies precisely in the contradictions. They make it entertaining all the way. In April at Editions Frédéric Malle. ← The Different Company: 15 years already!